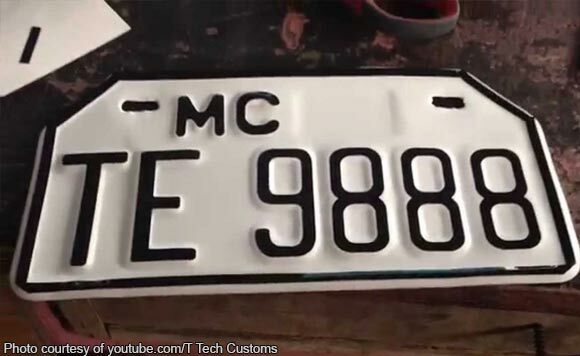 A proposed law mandating bigger number license plates for motorcycles principally authored by Tarlac 2nd District Representative Victor Yap was approved on third reading by the Lower House of Congress. House Bill 8419, titled ‘An Act Preventing the Use of Motorcycles in the Commission of Crimes Through Bigger Number Plates and Identification Marks,” was approved by all 219 members of the House of Representatives during a voting last Tuesday, Nov. 20. The bill mandates the Land Transportation Office to issue a bigger number plate for every motorcycle, with alphanumeric characters in large and readable font from a distance of at least 12 meters, a House statement said Saturday. The plate must be displayed at the back of the motorcycle and shall be made of suitable and durable material. Penalties are prescribed in the proposed law for various violations, including tampering with, altering, forging or imitating a bigger number plate.